If ever there was a legendary women’s fashion brand, Gucci surely qualifies, and at Zalando Lounge you’ll find plenty of the Italian label’s handbags, accessories and garments. Whether you’re looking for a compact Ophidia shoulder bag or a rainbow velvet skirt to combine with blazers in a snappy work outfit, our Gucci sale showcases some of the fashion world’s finest creations. Gucci is a superstar label, but it still has its roots in Italy’s high-quality fashion scene. The company was founded in the early 20th century by a Florentine leather-worker called Guccio Gucci, but its real rise to success started in the 40s and 50s, when the label introduced some of the most gorgeous handbags ever created. Almost overnight, Gucci branded bags with their instantly recognisable red details and bamboo handles were carried by movie stars like Audrey Hepburn or Grace Kelly or style icons like Jackie Onassis. These days, the company has a lot to live up to, and it does so with ease, as a look at the items in our Gucci sale will quickly prove. Above all, Gucci remains closely associated with high-end women’s accessories. But they have come a long way since their first bamboo-handled bags. The modern Gucci range stretches from totes and shoulder bags through to rucksacks, Boston bags, clutches and belt bags. Under the directorship of Alessandro Michele, today’s Gucci is focusing on retro-influenced aesthetics. Their bags (like their blazers or skirts) are looking “back to the future”, with elements like chains and the classic Gucci monogram coming to the fore. Glamorous, classically styled but still on the cutting edge of fashion, these accessories are serious additions to the wardrobe of committed fashionistas. The same applies to the work and formal outfits to be found at our Gucci sale. Gucci has always focused on creating dresses and skirts for elegant purchasers, and their clothes remain a fantastic choice for anyone who wants an eye-catching work or party look. If you want a trouser suit or a stylish blazer to combine with your stash of shirts or blouses, be sure to have a look at what comes up in our flash sales. And don’t fail to browse the jackets collection as well. Gucci’s silk wool and tweed creations never disappoint, and are great for formal and casual wear. 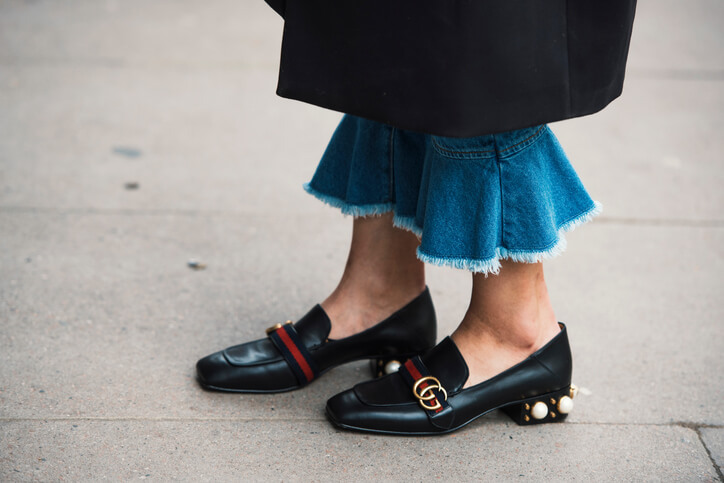 But today’s Gucci isn’t all about formality. If you stay in touch with our Gucci sale, you’ll find plenty of casual dresses and shirts in the pipeline, too. There are gold crêpe tops for festivals and outdoor parties, Hawaiian print jackets, tops decorated with spectacular floral prints, alongside designer denim jackets and activewear. Basically, Gucci covers the whole spectrum of accessories, formal wear and casual fashion – so there’s something for everyone. If you want to purchase designer Gucci products at incredibly low prices, the Zalando Lounge Gucci sale is the place to be. Here’s how it works. To access the sale, all you need to do is sign up for the Zalando Lounge – our private shopping club. 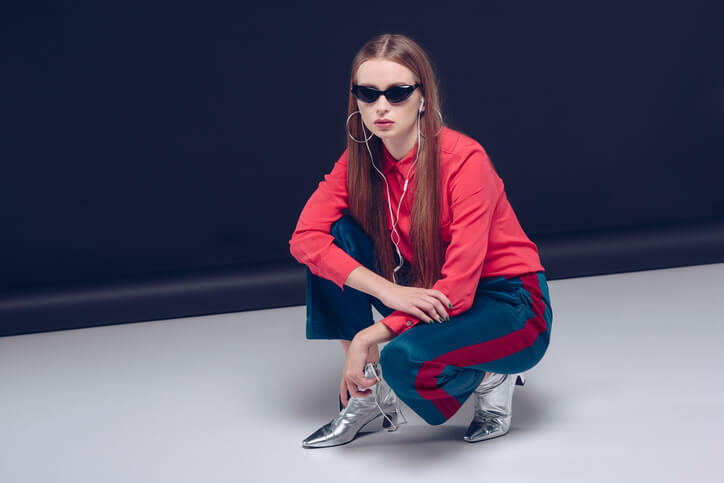 Members of Zalando Lounge can then join flash sales on Gucci clothes and accessories, securing huge savings compared to standard stores and online sellers. So dive into a cornucopia of dazzling designs and stock up on beautiful bags, belts and clothes at the Zalando Lounge Gucci sale.